The Haystack Bundle consists of the Multi-Squeeze, Top Hat, and Power Correlations Indicators. 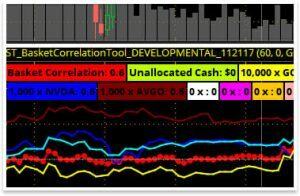 When the indicators in the Haystack Bundle are combined they provide a unique look at three essential parts of every trade. The Multi-Squeeze shows hidden Squeezes across multiple timeframes. The Top Hat Indicator shows potential swing highs or lows based on volatility calculations. Power Correlations show just how your positions relate to overall index and sector risk. 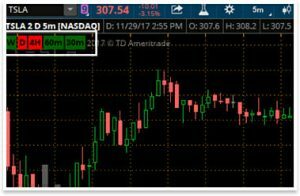 Combining the three gives us: directional anticipation, turning points in price, and market risk correlations… essential information to understand for successful trading. Save $118 on Haystack Indicator Bundle by becoming a member today! We understand the power of trading with a Squeeze. Price compression leads to price expansion and, as directional options traders, we need to take advantage of those opportunities when they arise. The Multi-Squeeze allows traders to see Squeeze setups on multiple timeframes. These setups can lead to cascades of directional buying or selling, and very quickly being able to see and process this information via the Multi-Squeeze Indicator is one of the strongest signals we trade. Designed to precisely measure your portfolio’s exposure to specific market risk. Hedge funds spend hundreds of thousands on programs like this but this critical information was out of reach for individual traders. Unless you have this insight, it’s easy to be too exposed to a specific sector or index. The Haystack Bundle, right out of the box, gives us three critical pieces of information for every trade. The Multi-Squeeze tells us what timeframes are showing price compression. Price compressions lead to price expansions, especially when multiple timeframes show a squeeze. These are some of the most directionally powerful trades. Top Hats tell us when a stock is getting statistically overheated or oversold, these times precede swing highs and lows. Power Correlations show us, at a glance, the often underappreciated correlation between overall market risk and risk to our trade.